Talk about the city of brotherly love, how about the city of founding fatherly love. 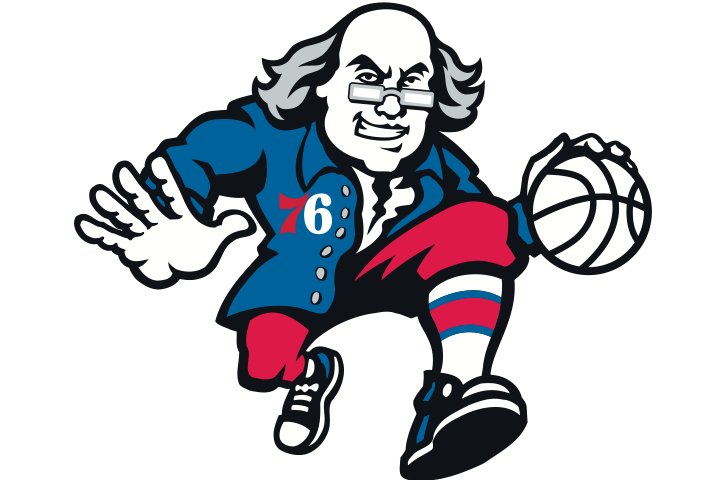 The Philadelphia 76ers unveiled a new logo this week featuring one of our favorite founding fathers dribbling a basketball. You gotta love this uniform. How could you not love Ben Franklin? Not only does it have the patriotic color scheme but blends Ben’s colonial attire with basketball attire. Not to mention, the 76 on his cheat is subtle but looks great. All I can say is that good ol’ Ben looks like he could take most of us in a game of pickup. Great job Philly, this logo is a keeper! !